Gil Garratt is the artistic director of the Blyth Festival. In the podcast we discuss the first time Garratt auditioned for the Blyth Festival. The director Paul Thompson invited Garratt to meet a a coffee shop, but the audition took place at a surprising location miles away. It was an audition unlike any other, one that Garratt will never forget. In our conversation Garratt shares his progressive thoughts on the Canadian dramaturgical and development process, adding that working on comedies can be the most divisive of all genres. “I have witnessed, in the rehearsal of comedy, more relationships destroyed, friendships obliterated over the course of the comedy, than I have working in tragedy. We also delve into Garrat’s development work, examining the process behind brining Mark Crawford’s hit comedy “The Birds and The Bees” to the stage. Since debuting at The Blyth Festival “The Birds and the Bees” has gone on to be performed at several theatres across Canada. Naturally we look at the upcoming season at the Blyth Festival, with detailed descriptions on the background of each production. 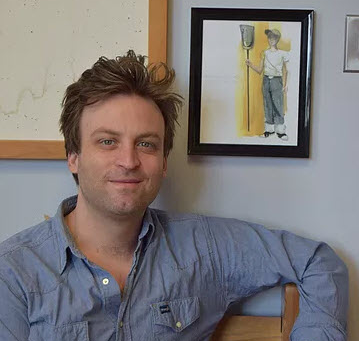 Garratt graduated from the National Theatre School’s Playwriting Program and holds an Honours BA from the University of Waterloo, and an MA from the University of Guelph. “The Birds and the Bees” at Victoria Plahouse Petrolia. Check out episodes that also mention Blyth festival, National Theatre School, Playwright, Playwrights.